Be the first to share your favorite memory, photo or story of Dr. Donald. This memorial page is dedicated for family, friends and future generations to celebrate the life of their loved one. Dr. Donald Everett Blair, age 80, of Morehead, passed away Sunday, December 2, 2018, at his home. Born January 26, 1938, in Lexington, he was the son of the late Dr. Everett D. Blair and Mary Jo Wilson Blair. Don is survived by his wife, Alta Stone Blair, whom he wed January 28, 1984; three children, Lisa Banks of Murfreesboro, Tennessee, Jennifer Blair Anderson (Joe) of Morehead, and Judge Don Blair II (Tara) of Mt. Sterling; one stepson, Steve Lewis (Sherry) of Cincinnati, Ohio; one brother, Paul Blair (Suanne) of Morehead; six grandchildren, Madison Delk, Haley and Emma Banks, Ryan and Harper Anderson, and Sofie Blair; one step grandson Dane Klute; two step granddaughters, Sydney Lewis and Savannah Lewis; and one great grandson, Zion Delk. A stepson, Michael Lewis, preceded him in death. 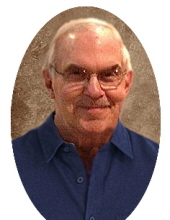 Don attended Center College and received the Bachelor of Science degree with distinction from Morehead State University and the Doctor of Medicine (M.D.) from the University of Louisville. He specialized in family medicine and allergies. In 1968, Dr. Blair returned to Morehead to practice with his father, who died one month later. A well-known and beloved physician in Morehead for nearly half a century, Dr. Blair also served as assistant professor of family medicine at the University of Kentucky for more than 20 years, was on the medical staff at the Life Care Center in Morehead and was a frequent lecturer at Morehead State University. He served as president of the Rowan County Medical Association and was a member of the Kentucky Medical Association and American Medical Association. Dr. Don Blair was a man of many hobbies. He took up golf, sailing, knife collecting, coin collecting and fly fishing, but always came back to his passion and hobby—his patients. Dr. Blair’s favorite past time was being out in the community whether it be at the restaurant, ballgame or church and talking with his many patients about life or diagnosing them on the spot. He was a lifelong member of the Christian church. A celebration of life will be held at 1 p.m. Friday, December 7, 2018, at Northcutt & Son Home for Funerals Memorial Chapel with Dr. Billy Noble officiating. Interment will follow in Caudill Cemetery. Pallbearers: Joe Anderson, Ryan Anderson, Ray Griffith, Paul Cooper, Dale Carpenter, and Steve Goldberg. Visitation will be 5 p.m. to 9 p.m. Thursday, December 6, 2018, at Northcutt & Son Home for Funerals, 400 Fraley Drive, Morehead, KY 40351. In lieu of flowers, contributions are suggested to Dr. Don and Alta Blair Scholarship Fund, MSU Foundation, Palmer House, 364 University St., Morehead, KY 40351. To send flowers or a remembrance gift to the family of Dr. Donald Everett Blair, please visit our Tribute Store. "Email Address" would like to share the life celebration of Dr. Donald Everett Blair. Click on the "link" to go to share a favorite memory or leave a condolence message for the family.